We recently were hired to stage a Glen Ellyn, Illinois home for one client looking to sell their property quickly for the biggest return on their investment. 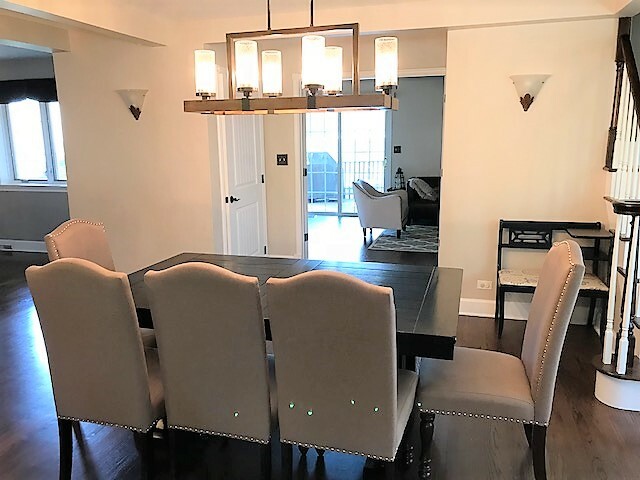 Here at Chicagoland Home Staging we couldn’t wait to transform this space with a few small tweaks to highlight each room, while still creating one cohesive look throughout the property. 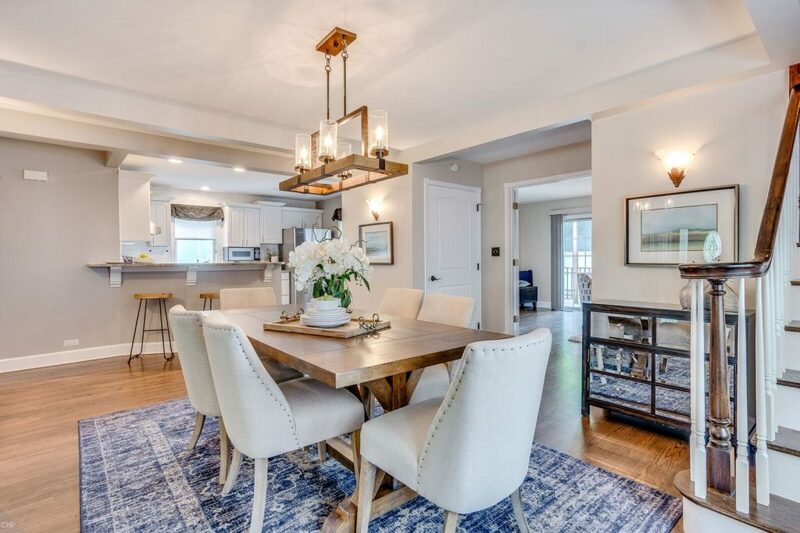 Here is the dining area of this property, which serves as the central area of the home connecting the kitchen, living and family room, not to mention the upstairs. 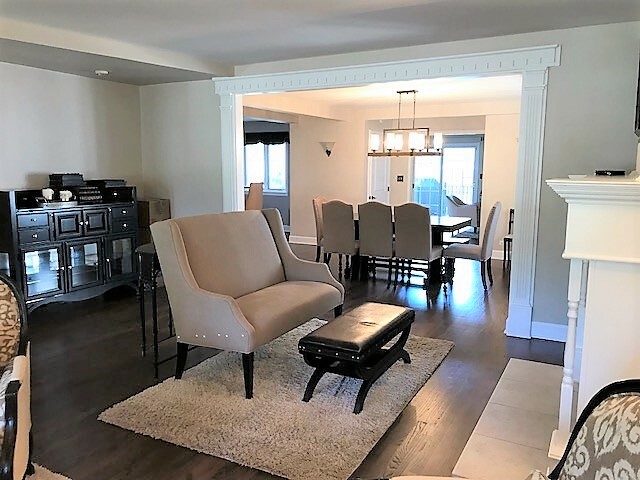 While the furniture in this room had been properly placed and utilized by the client, the room lacked personality and appeared dark, since it lacked windows offering natural light. We solved this problem by showcasing lighter furniture in this room. We swapped the chairs for a cream color, used neutral colored accessories like white dishes and white orchids to display on the table. A noticeable difference was the soft rug added in a blue hue on the floor to break up the wood, add a pop of color seen throughout the first floor of the home and define this room. One other thing to note is the mirror-fronted chest used to reflect and bounce the light around the room making the space appear larger. Like the dining room, this living area was one dimensional showcasing dark wood highlighted with blah-beige furnishings. We needed to keep the focus on the fireplace, a positive feature inside the room, while still optimizing the function of the space. Our team decided to infuse different textures into the space from smooth to furry setting the stage of a fantastic entertaining room for family, friends and guests. By adding varying textured pieces in this room we heightened the senses for a buyer touring the property. 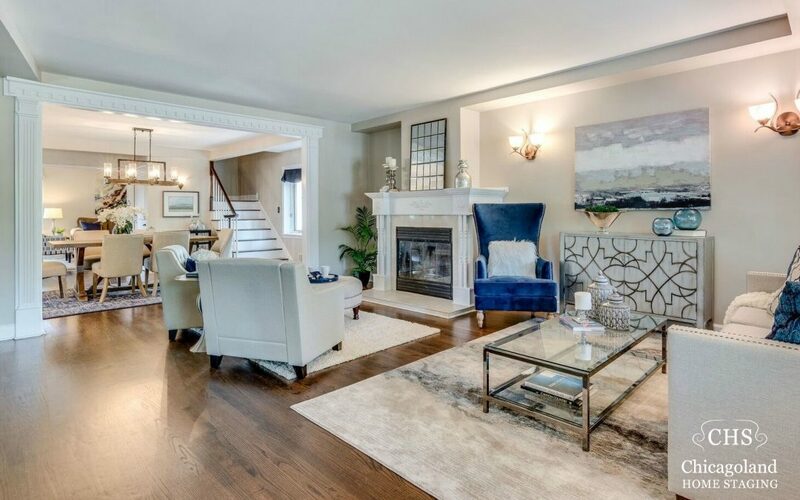 As you can see in this photograph below, each section of the home is now well-defined, buyers can easily maneuver around the neutral color furnishings as their eyes continue to seek out the pops of blue creating one-cohesive flow that welcomes a buyer to make an offer. 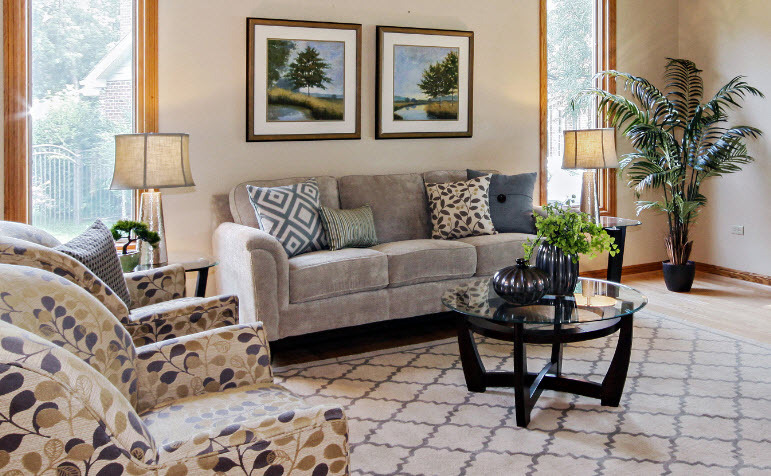 This home sold 10 days after the property was staged by Chicagoland Home Staging. 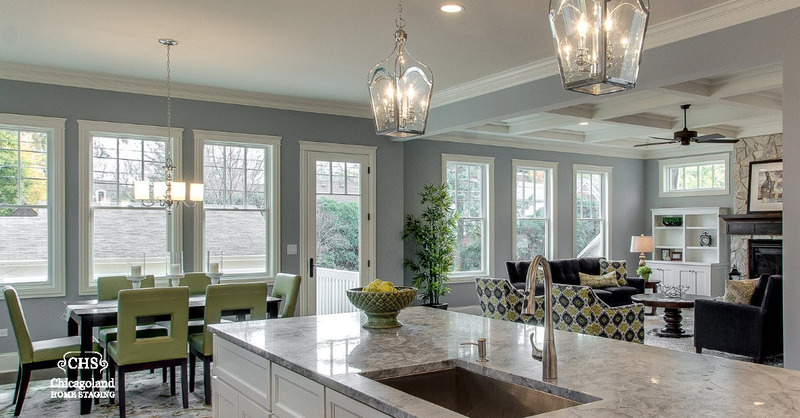 If you’re looking to tweak your Glen Ellyn property feel free to contact us today for a quote and to learn more about our services.